Ducati has released a slightly simpler companion for the Monster 797+. 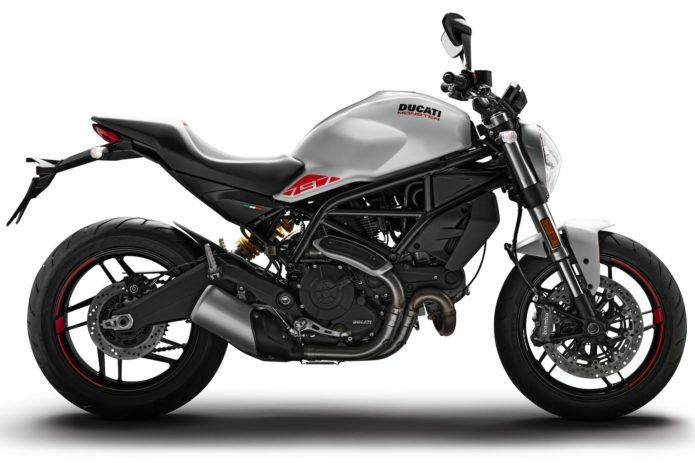 It’s the 2019 Ducati Monster 797 standard. Basically, it’s the 797+, sans the flyscreen and passenger seat cover. Powered by the 803cc Desmodue motor, it delivers 75 air-cooled horses at 8250 rpm. Torque from the two-valves-per-cylinder motor makes its way to 51 ft/lbs at just 5750 rpm.